When it comes to providing energy in the “developed world”, the challenge is in finding ways to generate electricity, heat, and cooling in a way that will not burden our environment. Whereas providing these things in the past has never been much of a challenge, finding ways to meet future demand in a way that is sustainable and renewable often is. Lucky for us, we have the means to meet this challenge head on. But in the “developing world”, where the infrastructure does not readily exist, populations continue to grow exponentially, and the concerns about the natural environment are quite grave already, the challenge of providing for people’s basic needs presents a significant challenge. At the same time however, it presents an opportunity for creative solutions. What follows is just a few examples of what engineers and designers have come up with in recent years. These devices are especially innovative because they are capable of increasing the supply of safe, cheap energy on a user-by-user basis, bypassing the years it takes to extend a power grid to remote places, the resources needed to increase a country’s energy production capacity, or the environmental damage involved. 1. The Voto: Millions of people around the world use coal or wood-fired stoves to provide for their cooking and heating needs. 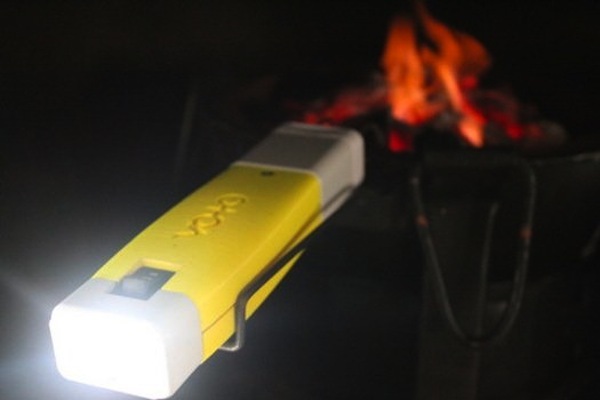 Developed by the company Point Source Power, the VOTO converts the energy these fires release as heat into electricity, which can power a handheld light, charge a phone or even charge a spare battery. Initially designed for backpackers and campers, the company is also trying to find a way to make it accessible to residents of the developing world, where it will be much more useful. 2. Window Socket: Here we have what is perhaps the simplest solar charger in existence. Simply attach the suction cup to a window or any sun-exposed surface, let sit for 5 to 8 hours, and the solar panels will store enough electricity to power a device for up to ten hours. Created by Kyuho Song and Boa Oh of Yanko Design to resemble a normal wall outlet as closely as possible, the charger can be taken and used anywhere, making it truly versatile. 3. The Berkeley-Darfur Stove: In recent years, health researchers have come to the conclusion that open-fire stoves lead to millions of deaths in the developing world. Hence this design by Potential Energy, a nonprofit dedicated to adapting and scaling technologies to help improve lives in the developing world. Featuring a tapered wind collar, a small fire box opening, nonaligned air vents that reduce the amount of wind allowed to stoke or snuff the fire, and ridges that ensure the optimal distance between the fire and pot, this stove is safe, fuel-efficient, and requires less wood to power. Over 25,000 units have been distributed to the Darfur region and Ethiopia so far. 4. Gravity Light: Along with wood-burning stoves, kerosene-burning lamps are also a major health concern because of the fumes they create. Hence the simple and elegant solution known as the Gravity Light. 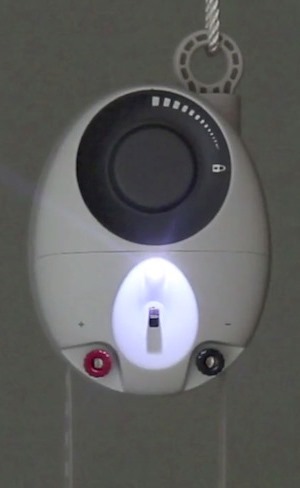 Developed by the research initiative deciwatt.org, the device is powered by attaching a 20 lbs bag or rocks or dirt to a cord and then lifting it into place. The potential energy stored in that lifting motion is then gradually converted to electricity as the the bag descends over the course of about 30 minutes, powering a light or other electrical device in that time. 5. SOCCKET: Soccer is easily the most popular sport in the world, with millions of people playing daily. And in an attempt to turn this daily activity into an efficient form of energy that would replace kerosene lamps, Uncharted Play, a for-profit social enterprise, has created a ball that uses a kinetically-powered pendulum to generate and store electricity. 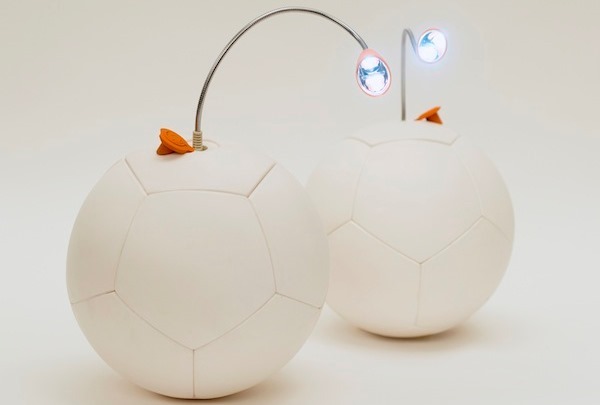 After about 30 minutes of play, the ball stores enough energy to power an attachable LED lamp for 3 hours. Development of the product was funded via Kickstarter, and the first ones will ship in the next few weeks. A percentage of all retail sales will go to providing SOCCKETs to schools in the developing world. When it comes right down to it, these devices are especially innovative because of the way they marry new technology to basic utility. In the end, what people get are things that are simple to use, effective, clean, and safe. And if history and sociological research have taught us anything, it’s that little things that make life healthier and easier have a profound impact on the lives of people. Combined with large-scale concept (like 3D-printed structures) simple solutions like these are likely to make a big difference in the lives of millions of people. By ensuring that people have access to lighting and heating that does not compromise their health, is better for their environment, and less-labor intensive and expensive, the daily grind that characterizes far too many people’s existence is sure to get easier and allow for new opportunities. Though they might seem like minor improvements, incremental changes have a way of adding up and can lead to serious and positive social change. And I for one am eager to see it happen! With the development of vertical farms, carbon capture technology, clean energy and arcologies, the future of city life and urban planning is likely to be much different than it does today. Using current trends, there are a number of people who are determined to gain some understanding of what that might look like. 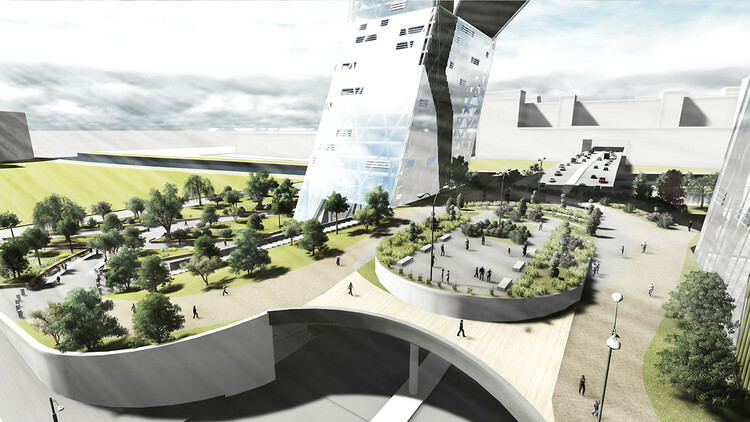 One such group is Arup, a design and engineering firm that produced a mockup that visualizes what urban environments will look like in 2050. 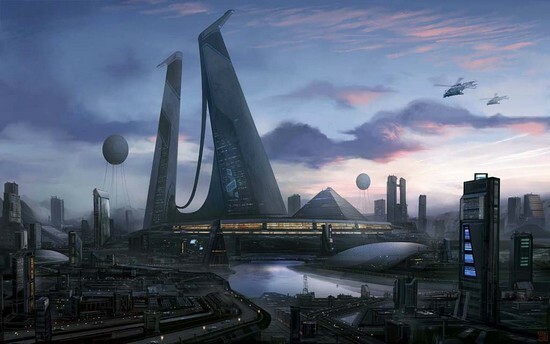 Based on the world as it is today, certain facts about the future seem relatively certain. For starters, three-quarters of the population will live in cities, or 6.75 billion of the projected 9 billion global total. In addition, everyone will have grown up with the Internet, and its successors, and city residents will have access to less natural resources than they do today, making regeneration and efficiency more of a priority. 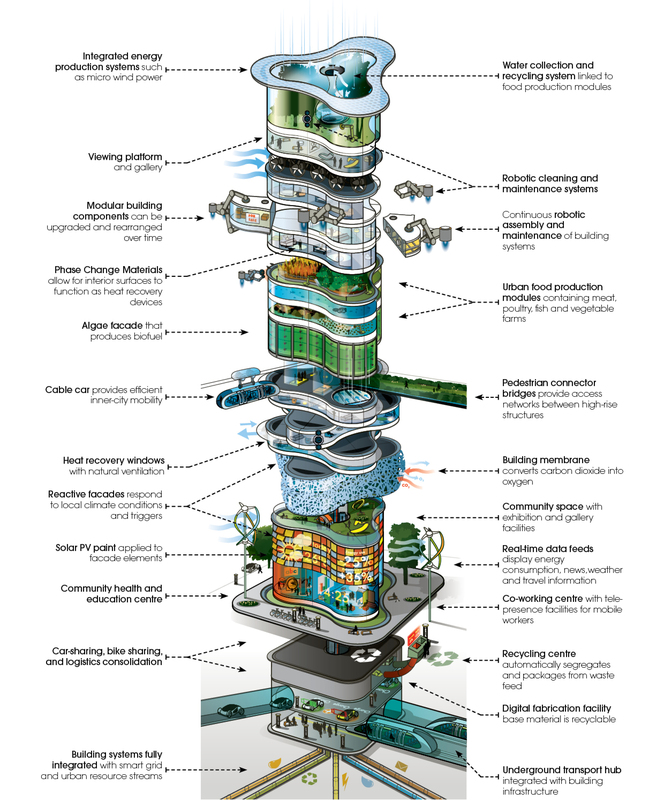 Add to this several emerging technologies, and our urban environments are likely to look something like the building mockup below. As you can see, it has its own energy systems (“micro-wind,” “solar PV paint,” and “algae facade” for producing biofuels). There is an integrated layer for meat, poultry, fish, and vegetable farming, a “building membrane” that converts CO2 to oxygen, heat recovery surfaces, materials that phase change and repair themselves, integration with the rest of the city, and much more. Most futuristic of all is the fact that the structure is completely modular and designed to be shifted about (by robots, of course). The building has three layer types, with different life-spans. At the bottom is a permanent layer – with a 10 to 20-year lifespan – which includes the “facade and primary fit-out walls, finishes, or on-floor mechanical plant” – and a third layer that can incorporate rapid changes, such as new IT equipment. [A]ble to make informed and calculated decisions based on their surrounding environment… [a] living and breathing [structure] able to support the cities and people of tomorrow. In short, the building is designed with personal needs in mind, based on information gleamed from a person’s behaviors, stated preferences, and even genetic information. But what is even more interesting is how these buildings will be constructed. As countless developments are made in the field of robotics, biotechnology and nanotechnology, both the materials used and the processes involved are likely to be radically different. The rigid construction that we are used to is likely to give way to buildings which are far more flexible, adaptive, and – best of all – built by robots, drones, tiny machines and bacteria cultures. Once again, this change is due mainly to the pressures that are being placed on urban environments, and not just technological advances. As our world becomes even more densely populated, greater proportions of people live in urban environments, and resources become more constrained, the way we build our cities must offer optimum efficiency with minimal impact. Towards this end, innovations in additive manufacturing, synthetic biology, swarm robotics, and architecture suggest a future scenario when buildings may be designed using libraries of biological templates and constructed with biosynthetic materials able to sense and adapt to their conditions. What this means is that cities could be grown, or assembled at the atomic level, forming buildings that are either living creatures themselves, or composed of self-replicated machines that can adapt and change as needed. Might sound like science fiction, but countless firms and labs are working towards this very thing every day. 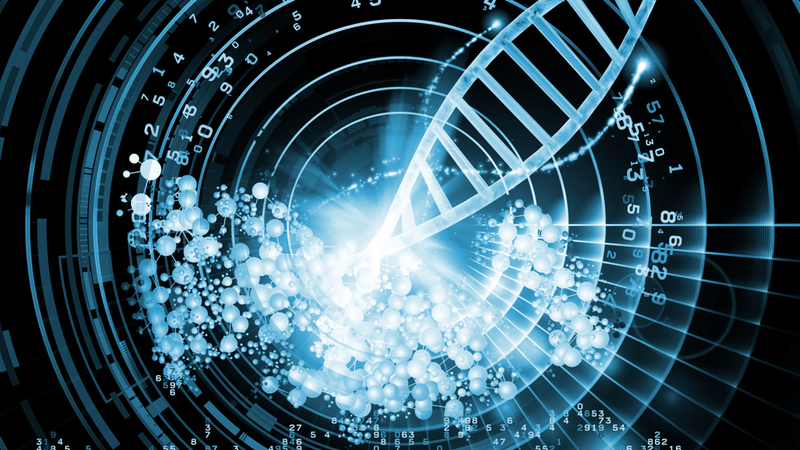 It has already been demonstrated that single cells are capable of being programmed to carry out computational operations, and that DNA strains are capable of being arranged to carry out specialized functions. Given the rapid progress in the field of biotech and biomimetics (technology that imitates biology), a future where the built environment imitates organic life seems just around the corner. 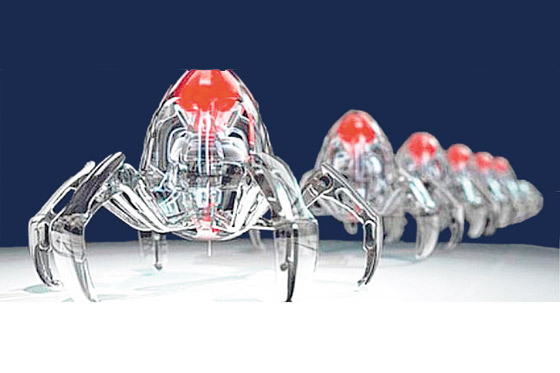 For example, at Harvard there is a biotech research outfit known as Robobees that is working on a concept known as “programming group dynamics”. Like corals, beehives, and termite colonies, there’s a scalar effect gained from coordinating large numbers of simple agents to perform complex goals. Towards this end, Robobees has been working towards the creation of robotic insects that exhibit the swarming behaviors of bees. Mike Rubenstein leads another Harvard lab, known as Kilobot, which is dedicated to creating a “low cost scalable robot system for demonstrating collective behaviors.” His lab, along with the work of researcher’s like Nancy Lynch at MIT, are laying the frameworks for asynchronous distributed networks and multi-agent coordination, aka swarm robotics, that would also be capable of erecting large structures thanks to centralized, hive-mind programming. In addition to MIT, Caltech, and various academic research departments, there are also scores of private firms and DIY labs looking to make things happen. For example, the companies Autodesk Research and Organovo recently announced a partnership where they will be combining their resources – modelling the microscopic organic world and building bioprinters – to begin biofabricating everything from drugs to nanomachines. And then there are outfits like the Columbia Living Architecture Lab, a group that explores ways to integrate biology into architecture. Their recent work investigates bacterial manufacturing, the genetic modification of bacteria to create durable materials. 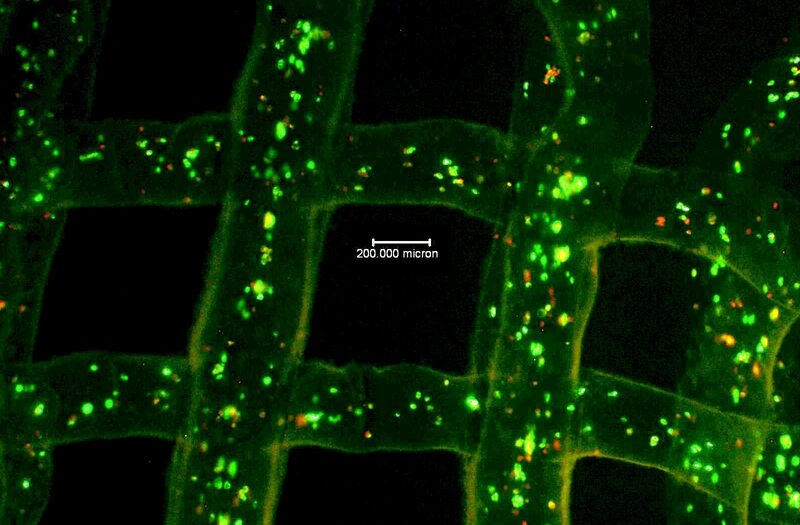 Envisioning a future where bacterial colonies are designed to print novel materials at scale, they see buildings wrapped in seamless, responsive, bio-electronic envelopes. And let’s not forget 3D printing, a possibility which is being explored by NASA and the European Space Agency as the means to create a settlement on the Moon. In the case of the ESA, they have partnered with roboticist Enrico Dini, who created a 3-D printer large enough to print houses from sand. 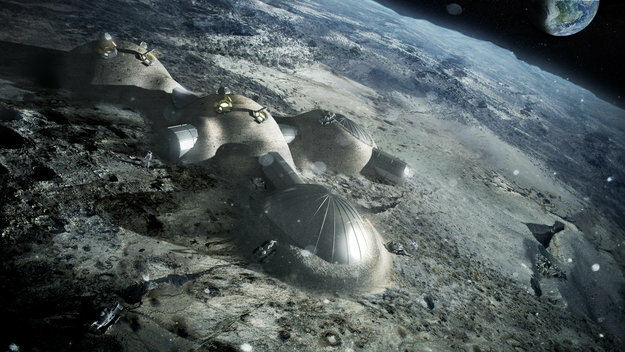 Using his concept, the ESA hopes to do the same thing using regolith – aka. moon dust – to build structures on Earth’s only satellite. All of these projects are brewing in university and corporate labs, but it’s likely that there are far more of them sprouting in DIY labs and skunkworks all across the globe. And in the end, each of them is dedicated to the efficiency of natural systems, and their realization through biomimetic technology. And given that the future is likely to be characterized by resources shortages, environmental degradation and the need for security, it is likely to assume that all of these areas of study are likely to produce some very interesting scenarios. As I’ve said many times before, the future is likely to be a very interesting place, thanks to the convergence of both Climate Change and technological change. With so many advances promising a future of post-scarcity, post-mortality, a means of production and a level of control over our environment which is nothing short of mind-boggling – and a history of environmental degradation and resource depletion that promises shortages, scarcity, and some frightening prospects – our living spaces are likely to change drastically. The 21st century is going to be a very interesting time, people. Let’s just hope we make it out alive!